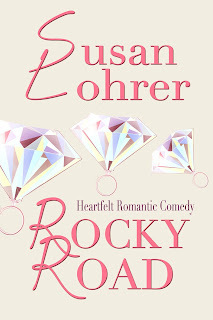 Guest Post: Susan Lohrer’s Rocky Road! Physical therapist Nancy Anne Robertson has her sights set on her dream promotion. Problem #1: she’s engaged to one of her patients, and if her secret gets out, she’ll lose her job altogether. Problem #2: her ex-fiancé is back in town, shooting for the same promotion. 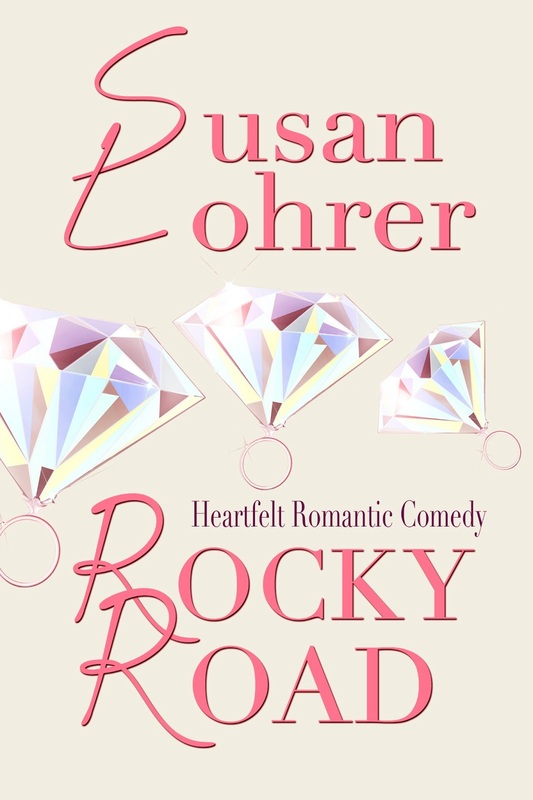 Complicating matters are two mothers (and one fiancé) with alarming secrets, an autistic brother with a penchant for wandering off at the most inconvenient times, and four rings—the fake diamond kind, the stolen kind, the sticky wax kind that belongs under a toilet . . . and maybe, just maybe, the kind meant to make a girl say I do. getting worse over the last few months. Working too hard so he’d be a good provider, no doubt. that’s just the kind of guy he was. She smiled, visualizing him in a black tux. with another patient. Ancy had never kept a secret from her best friend before, and she was starting to hate the way it made her feel. to the still-healing surgery scars. His hands were muscular. Strong hands, dependable hands. the hands of a man who would stand by her through whatever life threw at them. And he wouldn’t leave her the way Steve had. he way her father had left her family. promotion. Then the bit about the alumnus sank in. This entry was posted in book tour, books, Guest Blog, new releases, novels by Steph. Bookmark the permalink. Next → Next post: Garden Goodness: It’s a Greenhouse!